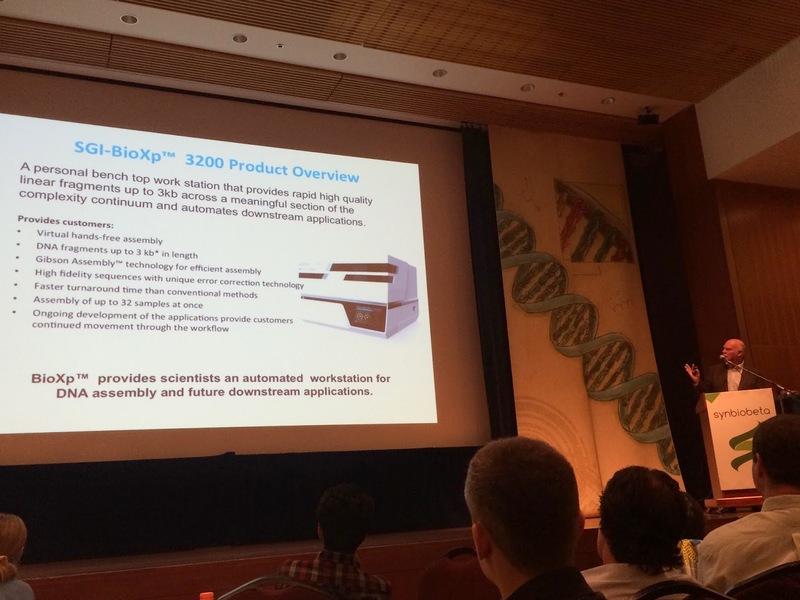 SGI-DNA was delighted to join other synthetic biology enthusiasts at SynBioBeta San Francisco last week, where Craig unveiled the latest advances from Synthetic Genomics during his powerful keynote speech. 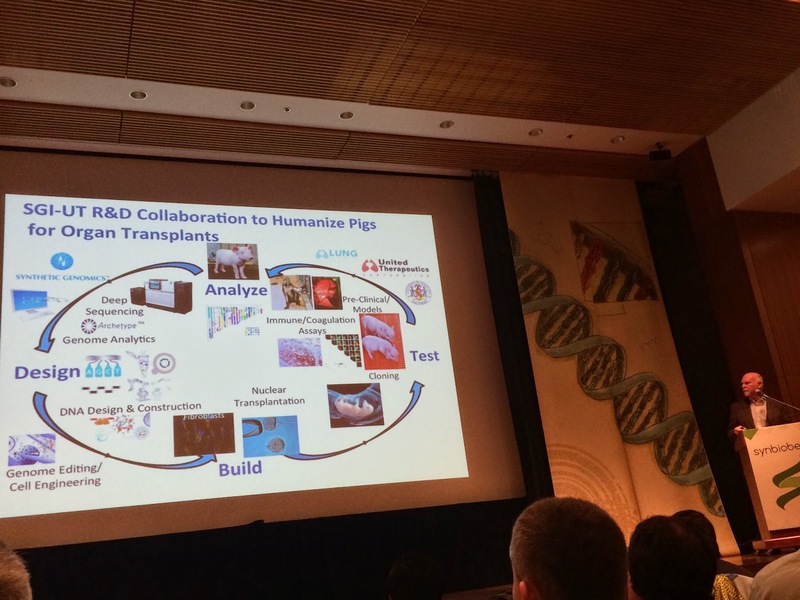 Among the most provocative endeavors presented by Craig was SGI's collaboration with United Therapeutics to transplant engineered pig organs into humans. With SGI's expertise in DNA design, synthesis, and genome editing, our scientists are rewriting the pig genome to deliver engineered cells for United Therapeutics to generate pigs embryos with humanized lungs. Although the project is still in its early stages, researchers have shown that baboons can survive with xenotransplanted lungs for up to one year by changing just a few genes. Another notable program at SGI is the development of synthetic flu vaccines with Novartis. 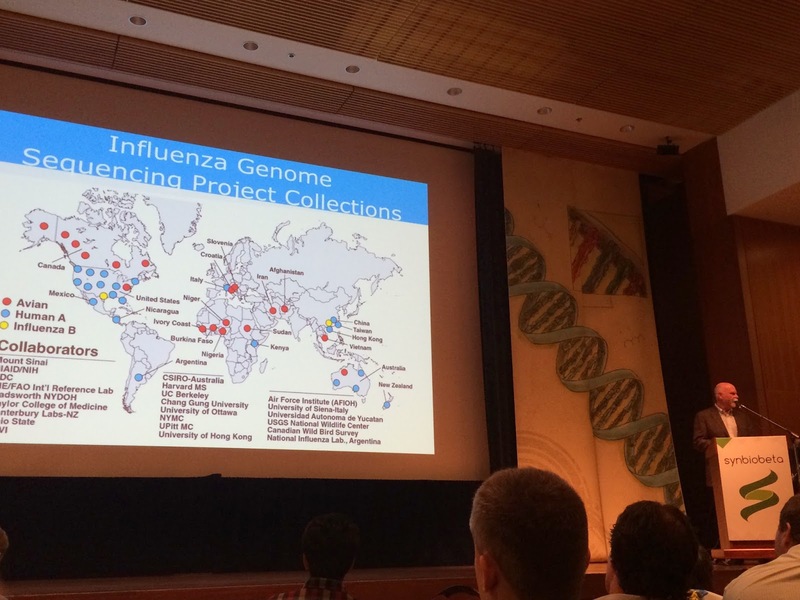 When China's CDC made the latest H7N9 viral genes available online on April 2013, the research teams quickly applied synthetic genomic tools and technologies to generate initial vaccine seeds in just 6 days. This was the first real time demonstration of pandemic preparedness utilizing synthetic gene assembly, dramatically improving the pandemic response by increasing the speed and overall yield of vaccines during production. Clinical trial results reported by Novartis were positive, with 85% of subjects immunologically protected after receiving the second dose of cell culture vaccine (combined with synthetic adjuvant MF59). The vaccine is now in large scale production. 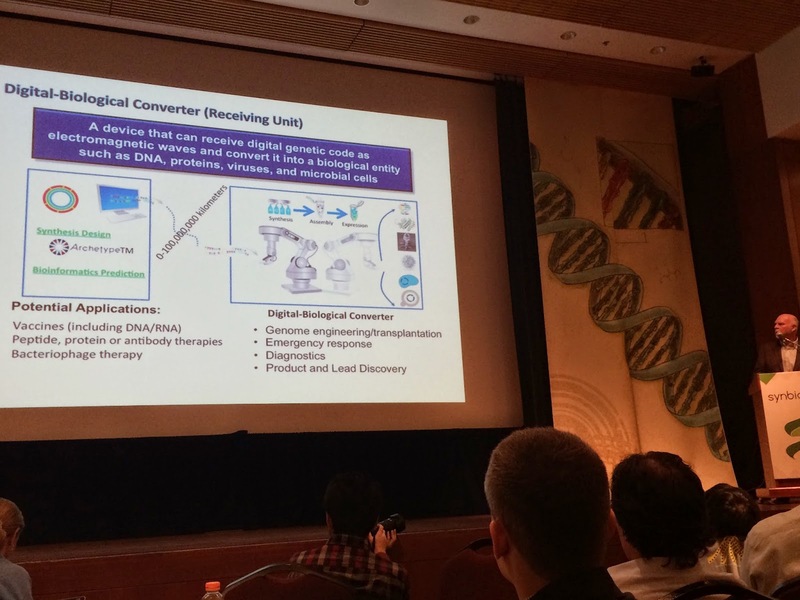 In Craig's vision for vaccine production, hospitals and pharmacies around the world will simply download the latest viral genome and convert it to a vaccine for distribution, via our Digital to Biological Converter.